As many as 10 million people worldwide (one million in the United States alone) suffer the tremors, impaired balance and rigidity associated with Parkinson’s disease (PD), a chronic and progressive disorder caused by the death of nerve cells in the brain’s muscle-movement control areas. The cause is unknown and there is no cure, only medication to manage symptoms. Against that bleak landscape, Israeli researchers are working hard to better understand, prevent and treat the brain disorder. Here are 10 exciting examples of Israeli ingenuity that could revolutionize options for PD patients. Azilect, a popular drug to treat PD symptoms, was innovated by Technion-Israel Institute of Technology professors John Finberg and Moussa Youdim and commercialized by Israel’s Teva Pharmaceuticals. The drug is prescribed for patients in 56 countries. 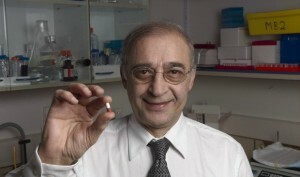 Youdim, 72, is now co-director of the Technion’s Eve Topf and US National Parkinson Foundation Centers of Excellence for Neurodegenerative Diseases Research. He is one of the Israeli formulators of a next-generation drug, Ladostigil, which is still in clinical trials for both PD and Alzheimer’s patients. TIME magazine designated Israeli company InSightec’s magnetic resonance-guided focused ultrasound as one of the 50 best inventions of 2011. Neurosurgeons and physicists at leading research hospitals in Switzerland, Korea, Tokyo, Canada and the United States are currently using InSightec’s ExAblate Neuro experimentally to treat essential tremor, a common movement disorder, through MR-guided focused ultrasound. The first Parkinson’s patients in a Phase III study are being enrolled this year, with the hope of devising a full treatment protocol to receive FDA approval for InSightec’s non-invasive treatment of tremors related to PD. Patients undergoing InSightec’s non-invasive MRI-guided ultrasound procedure for tremor symptoms. A clinical trial to evaluate the safety and efficacy of Brainsway, a specialized deep TMS (transcranial magnetic stimulation) therapy, for PD patients concluded last November with promising preliminary results. After the 27 PD patients received 12 non-invasive treatment sessions over the course of 30 days, they showed significant improvement in mobility. Their tremor and rigidity symptoms improved after just the first treatment. In addition to positive studies completed in Israel and in Italy, another trial is still under way. The Israeli company ElMindA could revolutionize the diagnosis and management of PD and other brain-related disorders with its trademarked, non-invasive procedure for mapping network activation points in the brain. This 15- to 30-minute procedure would be a major advance because blood tests and imaging are of limited value for diagnosing brain diseases and documenting the effects of treatment. The ElMindA technology is currently being used for drug development research with leading pharmaceutical companies and in research with academic research centers throughout the United States and Europe. Last year, the company began the process of applying for FDA clearance for clinical use. ElMindA’s device for diagnosing and monitoring brain disorders. In 2010, neurologist Dr. Ilana Schlesinger did a successful experiment at Rambam Healthcare Campus in Haifa using guided imagery to tame the tremors of PD patients. It was, she said, the first time anyone ever succeeded in completely stopping tremors without medication. The effects lasted for a short while after each session, as reported in the International Journal of Movement Disorders. Schlesinger received inquiries about the technique from the United States, South America and even Afghanistan. 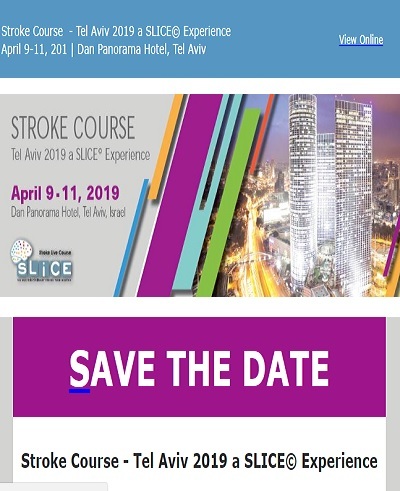 Researchers at Jerusalem’s Hadassah University Medical Center are studying the ability of enhanced autologous stem cells (taken from the patients’ own bone marrow) to stop the progression of PD and other neurodegenerative diseases. The specially modified stems cells, called NurOwn, are produced by Petah Tikvah-based BrainStorm Cell Therapeutics. Former American prizefighter Muhammad Ali’s daughter, Rasheda, sits on BrainStorm’s advisory board. She’s following NurOwn clinical trials closely to see how it might help people with PD, like her dad. The protein ARTS, central to the natural process of programmed cell death (apoptosis), is the subject of scrutiny by Dr. Sarit Larisch, head of the Cell Death and Cancer Research Laboratory at the University of Haifa. She leads breakthrough research into why the brain cells that produce the neurotransmitter dopamine become damaged in PD. She explains that when apoptosis is too sluggish it can result in cancer, while if it goes into overdrive it can result in diseases such as Parkinson’s. The main antioxidant in green tea could be a potent way to prevent PD and other neurodegenerative diseases, according to research done by Prof. Moussa Youdim (see No. 1, above) and Dr. Silvia Mandel, co-director of the Parkinson Foundation Centers at the Technion. The substance, EGCG, can enter brain cells and keep neurons from dying. Mandel found that even after many neurons have already been damaged, the green tea antioxidant is capable of rescuing the remaining healthy ones. If taken in moderation, she suggests, green tea may be part of both a prevention and anti-progression strategy. Last July, neurologists at Beilinson Hospital (Petah Tikva) and at Tel Aviv University’s School of Medicine announced the identification of a protein that protects dopamine-producing brain cells from PD. Mutations of this protein are associated with an increased risk of PD and other brain disorders. The hope is that a drug could be synthesized to mimic the action of this natural protein, and prescribed for people in the early stages of the disease. There are three years of research behind this breakthrough and likely many more years of studies and trials ahead. Innovative new voice analysis software developed at Israel’s eXaudios Technology can decipher your emotional and physical state in real-time — and eventually could help diagnose and evaluate the severity of conditions such as PD and autism through analysis of a phone call. PD is one of several diseases that affect intonation. In fact, voice disturbances may be one of the first or early indicators of the disease. Close to 90 percent of people with PD are at risk of communication difficulties such as reduced vocal volume, inconsistent voice production, hoarseness, reduced clarity or articulation of syllables and decreased breath support for speech.